Now in this latest excerpt, we turn our attention to how field service organisations can avoid Mobile Resource Management pitfalls whilst they drive greater employee engagement. If you need to catch up with the previous articles in this series you can find part one here, part two here and part three here. As with any new project or initiative, there are some common pitfalls to avoid when deploying a Mobile Resource Management (MRM) solution. In this excerpt, we shall look at some of these pitfalls and how to address them, as well as how to engage employees in every department throughout your organisation using the concept of gamification to coach and improve worker performance and drive a more satisfied, efficient and safe organisation. MRM is a business strategy supported by processes and technology and used by teams throughout the organisation. 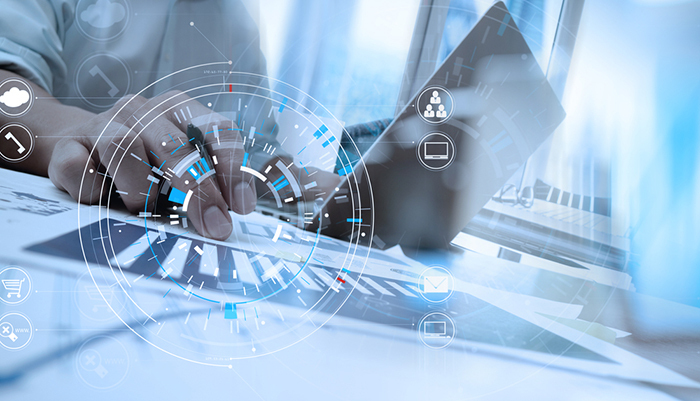 Although technology is a vital component, many organisations mistakenly focus purely on the technology and neglect to consider how supporting processes will map to the MRM solution, and fail to define or implement a strategy to gain user adoption. "The goodwill created through co-consultation will quickly evaporate if people don’t understand how to use the software and how it benefits the company, their team members, and themselves..."
Although various teams throughout your organisation may have been consulted during the MRM planning process, don’t expect them to automatically embrace the new system or instinctively know how to use it effectively. The goodwill created through co-consultation will quickly evaporate if people don’t understand how to use the software and how it benefits the company, their team members, and themselves. The level of personalisation will depend on the workflows and the capabilities of the solution being implemented. User training always needs to be built into any MRM project plan. As well as covering tuition on software functionality and its benefits, group training is a perfect forum to formulate processes and ensure buy-in collectively from all teams. Tailored training programmes involving the system users or those with a vested interest in delivery – your MRM ‘advocates’ or ‘champions’ – need to be developed. In this way, the system will be seen as a universal corporate tool and not just one department ‘selling’ it. A common pitfall (discussed in our article in this series on 'Thinking Outside the Silo') is trying to cobble together your own MRM system by integrating siloed best-of-breed solutions in-house. The ever-changing applications make constant connectivity a difficult, moving target that’s costly to set up and that requires a long-term and expensive commitment, relying on a small team/person with highly specialised knowledge – this can be a very high-risk proposition. As the saying goes: garbage in, garbage out. Spend time cleaning up your data – especially any data that includes addresses. Have you maintained a consistent style or format for data entry? Doing some data validation to determine whether your data is in the proper format goes a long way towards helping to make your data more usable. One of the fundamental deployment errors in any new system is simply ‘forklifting’ your data from the old system to the new one. Before you begin the process, separate, segment and streamline your data. Work out which segments are relatively clean and which will need additional cleansing. Think clearly about what you want to put in and what will actually be relevant day to day. What data is going to get users to actually want to use the system? Remove out-of-date activities, as well as organisations and contacts that haven’t been touched recently. Relevancy is a guaranteed way to overcome user resistance. Don’t just focus on addresses – think about time windows, skill sets, delivery days/dates and other common data. These will all impact the effectiveness of your MRM solution if they’re not accurate and up-to-date. Have a clear, consolidated, centralised database of all your fleet/asset information to avoid delays and frustration, especially at remote locations. Taking the necessary steps to fix any issues or errors in advance will significantly improve the MRM data conversion and implementation process. 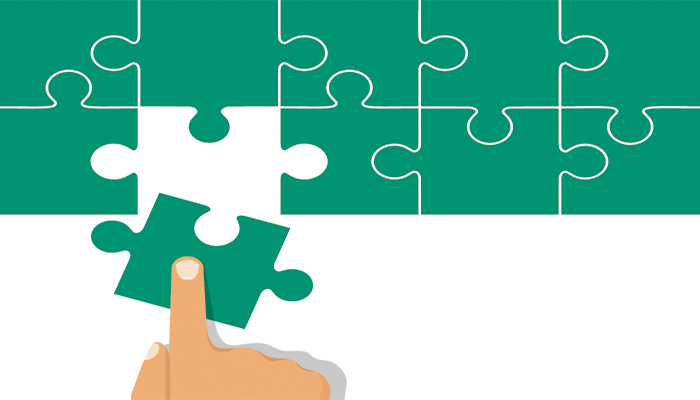 While your drivers, technicians or crews may be a subset of a larger business, there’s no reason why that subset shouldn’t have its own mission that aligns and supports the overall corporate mission. 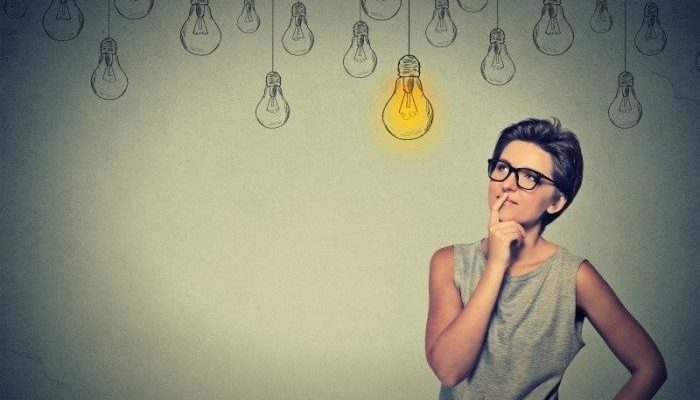 "While your drivers, technicians or crews may be a subset of a larger business, there’s no reason why that subset shouldn’t have its own mission that aligns and supports the overall corporate mission..."
Once the mission is established, it’s time to break it down to individual objectives that support the mission. For example, the mission may be to operate the safest fleet in your region, so the objectives may include reducing speeding incidents, Hours of Service (HOS) violations or vehicle idle time. Create measurable key performance indicators (KPIs) from the established objectives and keep them as specific as possible. No matter what your objectives are – increasing productivity, decreasing fuel costs, improving the safety of your crews or increasing asset utilisation – the secret to achieving them is keeping them Specific, Measurable, Achievable, Realistic and Time-bound (SMART). You then need to connect your entire organisation to the established goals. Review your objectives to ensure that they align with business operations. For example, if your company puts working as fast as possible first and safety second, then setting an objective to reduce speeding won’t align. Get your company influencers (normally managers or supervisors) involved to review and align to the objectives. Your managers need to be on board with the new objectives because they play an important role in influencing others, and ultimately help to achieve a successful outcome. After reviewing and refining your objectives, and aligning them with your organisation, you’re ready for deployment. If you’re rolling out at multiple locations, draw up a coordinated plan. Ensure that all parties are on the same page and engaged across the entire organisation – not just in the main office, but at all remote sites. Everyone needs to be aware of the deployment plan and the local champion/team must have everything prepared for deployment at their site on the agreed day/time. Clear and concise internal communications are critical to ensure a smooth rollout. Scope the deployment properly first: don’t move the goal posts during implementation. This is very difficult to do, as local variance and conditions means that tweaks are needed but they can cause delay. 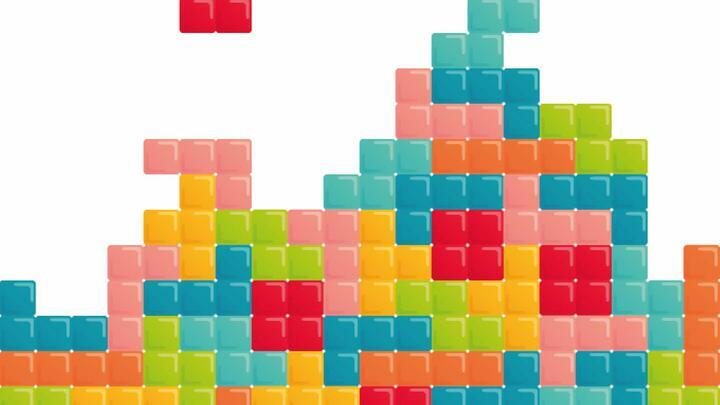 Gamification is the use of game mechanics in a typically non-game-oriented context. Gamification is used by software companies to build business applications that increase engagement and participation while accelerating learning. It leverages the human instinct to compete with ourselves or others, with the objective of encouraging teams to achieve company-wide goals. For example, you can deliver greater safety and compliance by giving near real-time data to drivers so that they can track – and eventually improve – their own performance, or improve productivity by empowering field workers to track near real-time performance metrics when completing work orders. For gamification to be most effective it needs to be ‘refereed’. This means monitoring results, providing incentives and celebrating wins. It can’t just be a new fad or flavour of the month initiative. Instead, it must become part of the fabric and culture of the business otherwise results will slip and workers will return to their old habits. To monitor the results, you need a scoreboard to help reinforce the KPIs so that your employees know what they’re playing for. The system takes the predetermined metrics and generates a score, then lets the employee see how they perform against their peers. It’s an opportunity to improve behaviours and perform with pride because they see metrics that show a direct correlation to how they’re helping to make their operation successful. Managers can compare employee scorecards and the types and frequencies of training content being accessed to different metrics such as the rate of accidents, lost-time injuries and productivity, and draw direct correlations between what moves the needle and what doesn’t. Done right, gamification can be more than just a passing fad. The data derived can be a powerful force for change in your organisation – you’ll see more than better business results: you’ll have employees who feel more engaged and appreciated, recognised for good performance on the job and motivated to do their best. Our series of excerpts from the exceptional industry guide 'Mobile Resource Management for Dummies', which has been commissioned by Verizon Connect has so far explored Understanding Digital Transformation in a Connected, Mobile World and also Thinking Outside the Silo and Harnessing the Power of Telematics. Here we will look at the first of these in greater depth. Productivity, a word loved by managers, is conversely often a word that has frightened many an employee. To them, it just sounds like more work and an opportunity for supervisors to be looking over their shoulders. But increasing productivity isn’t about being a drill sergeant. Rather, it’s about empowering your team, boosting efficiency and helping – not telling – your employees how to better spend their time. The fact is that an employee who goes home at the end of the day feeling like they’ve been productive and accomplished a lot is happier and more fulfilled than the not-so-productive employee who’s always looking to pass off work in favour of knocking off early. In addition to improving worker productivity, there are some other positive and far-reaching benefits to using the right tools with your mobile workforce. Faster processing of compliance requirements such as vehicle inspections. Less time spent on paper-based compliance logs for technicians and drivers. Quicker and more accurate generation of near real-time service reports. Improved customer service and capturing of client data for more effective management of support tickets, sales calls and marketing campaigns. Lower hardware costs and easier deployment using the mobile devices your team’s already carrying. Perform required pre- and post-trip vehicle inspections. Keeping teams in the field at their most productive is easy with prioritised mobile job management. Scheduled jobs are provided directly to the worker’s device at the start of their shift. Jobs can be signed on the device by customers and automatically marked as completed on departure and transmitted back to base in near real time. Or, conversely, any issues can be immediately reported back to the office for timely review and resolution. This means less non-productive time for teams outside the office, fewer miles, more productive time on the clock and better customer service. Mobile job management keeps both workers and customers happy. Getting your teams to keep their paperwork up-to-date is never easy, but it’s crucial to your service operation. Automation of forms on a mobile device, such as a smartphone or tablet, can be a huge time saver for your business. To improve the accuracy and timing of required paperwork, mobile automated forms are a crucial tool for today’s mobile worker. The impact of reducing the paperwork burden on your drivers and field workers can also improve employee retention. Electronic forms also save time and reduce errors for your back-office staff who no longer need to decode handwriting from paper forms and manually enter it into the system. All the job information gets saved directly into the database from the driver or field worker’s connected device. For any company with a fleet of vehicles, government regulations are a cost of doing business. If you don’t have the right tools in place to comply with these regulations, your company can quickly find itself in hot water. Ensure that compliance is being met – correctly. The best way to consistently remain compliant is by using a mobile workforce management solution. Not only does it take the guesswork out of deciphering rules and regulations, but it also speeds up roadside inspections due to the device being used for evidence of driver activity without the need to wade through paper logs. The solution stores your drivers’ activities by recording on-duty, off-duty, sleeping, and driving events, and displays available duty hours. This helps to streamline operations and eliminate paperwork. With a mobile workforce management solution, each driver is given a Driver ID, which is critical for not only reporting but also serving as a mobile time card. Does your company require mobile workers to perform driver vehicle inspection reports (DVIRs)? Are you looking for ways to automate these reports and make sure that drivers complete them accurately? 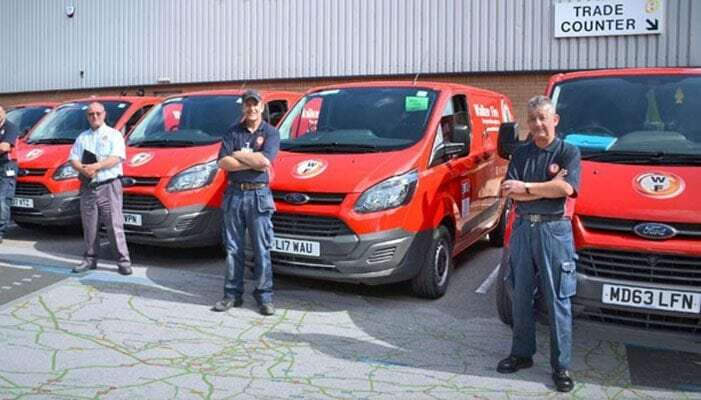 DVIRs are commonly overlooked or completed without physically inspecting the vehicle, increasing the chance of fines for non- compliance, breakdowns or even accidents due to missed maintenance and malfunctioning safety features. With a mobile DVIR solution, you can get immediate confirmation that the report has been completed and the driver did a physical walk-around inspection. Using their handheld device, drivers scan a two-dimensional Quick Response (QR) code affixed to specific vehicle inspection points. This instantly verifies that the individual checkpoints on the DVIR have been completed. You can also add photos to the report when any damage or maintenance issue is identified. 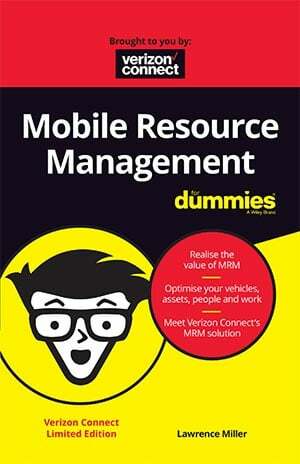 In a new series, fieldservicenews.com is pleased to bring you a selection of articles taken from the recently released limited edition of Mobile Resource Management for Dummies, which is presented by Verizon Connect. Is Mobile Resource Management a key Topic for you?! Dive straight into the full eBook by hitting the button below! Digital transformation has become imperative for many businesses today that find they must reinvent themselves, or face the possibility of extinction in an increasingly competitive and rapidly evolving market landscape. Amazon, Netflix and Uber are three modern examples of companies that have used disruptive technologies to transform entire business models. Beginning in the 1990s, Amazon challenged the status quo in the bookselling market (remember when Amazon only sold books?!). Today, Amazon has become a colossal market force befitting its name. Retail booksellers like Waterstones, Borders and Barnes & Noble have either disappeared altogether or are struggling to hold on. Beyond books, Amazon has transformed the entire retail industry. Amazon has also transformed distribution and logistics. Perhaps most excitingly, Amazon has taken a novel idea to sell excess compute capacity in its data centres and completely revolutionised computing as we know it today. With the launch of Amazon Web Services (AWS) in 2006, Amazon helped to usher in the cloud computing era. Netflix is another example of a company that used digital transformation to completely reinvent the film rental business, and crush the Blockbuster chain of video rental stores. Today, Netflix is transforming the entire entertainment industry as it produces original films and television programming, largely bypassing the traditional Hollywood entertainment moguls altogether. "The factor that unites all of these success stories is a user-centric experience that gives end-users what they want, now..."
Finally, Uber is challenging traditional taxi companies by leveraging an intuitive mobile app to connect drivers with passengers using global positioning system (GPS) location services and crowdsourcing to replace inefficient dispatchers. Uber uses cashless transactions to safely and efficiently collect and pay fares. The factor that unites all of these success stories is a user-centric experience that gives end-users what they want, now. For businesses and industries that manage large mobile workforces and assets – such as fleet vehicles, heavy equipment and specialised tools – plus field service organisations, and construction and repair services, innovative uses for technology are driving exciting new opportunities, as well as complex challenges. Among these challenges, the evolution of the many disparate solutions to manage the mobile workforce has limited the potential of MRM deployments. 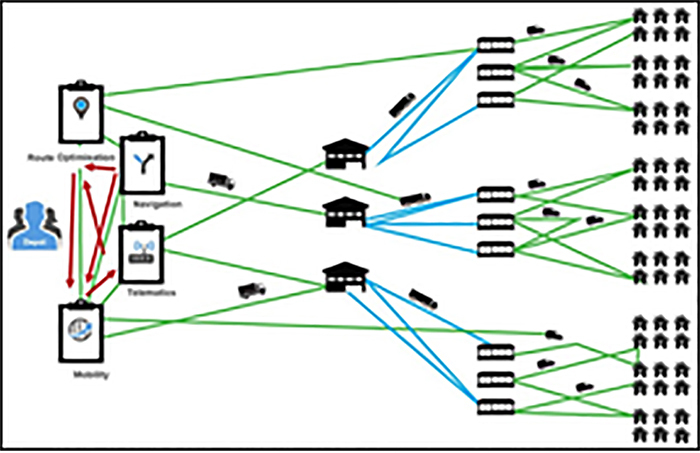 Different applications and functions – such as route optimisation, navigation, telematics and mobility – operating in independent silos with little or no data connectivity or integration between them create a complex environment that doesn’t adequately support real-time operations (see Figure 1-1). FIGURE 1-1: Siloed applications and technologies add complexity. Not surprisingly, technology is driving a rapidly changing industry landscape. For example, electric cars – once considered science fiction – are now very much a reality. The UK is the latest in a growing list of countries, along with France, to outline plans to halt the manufacture of petrol and diesel cars, announcing that it will ban their production by 2040. For any business that relies on fl preparation for this transition starts now. 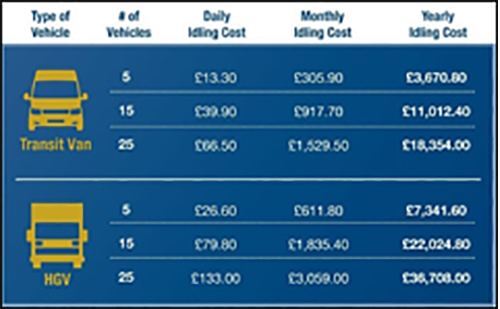 MRM solutions are key to this, having been shown to lead to significant cost savings through efficient route planning and reduced idling time and fuel waste. "Just as technology is driving this change, it also offers the solution to the challenges it presents..."
But just as technology is driving this change, it also offers the solution to the challenges it presents. 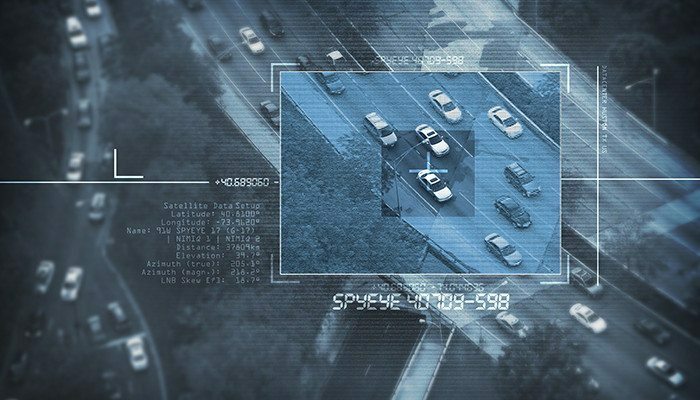 In the US, record numbers of businesses are turning to advanced MRM systems to collect vital information on their staff, vehicles and assets to ensure that they can keep pace with inevitable changes to business processes, regulation and reporting. C.J. Driscoll and Associates project that the total number of MRM units installed on fleet vehicles, commercial trailers, heavy construction equipment and personal mobile devices used in the field will grow to more than 14 million units in the US by 2019. Naturally, data plays a key role in any business transformation – especially when upgrading vehicles to new technologies or transitioning to new systems and processes. The more data you collect, the easier it is to adapt. With this in mind, the choice facing business fleets is simple: get ahead of the game now, or spend precious resources catching up in the future. In other areas, there’s simply no time to get ahead of the game – tomorrow’s technologies are already integral to the way we work and live. This is particularly true of the Internet of Things (IoT). Just like the cloud before it, the IoT is most definitely here to stay, with various industry analysts predicting anywhere from 20 to 30 billion IoT connected devices by 2020. "The natural progression of this vehicle-to-vehicle and vehicle-to-infrastructure communication is, of course, the autonomous vehicle..."
The impact of this trend on fleets is potentially enormous, as greater connectivity allows vehicles to interact with one another and collect data on vehicle environment, condition and performance. Most fleets already collect information on speed, fuel use and driver behaviour, but the technology exists to go much further. Businesses can automate previously labour-intensive or manual processes such as routing, payroll and reporting, through comprehensive MRM systems, connecting the vehicle, the people and the work seamlessly – potentially improving efficiency, productivity and, ultimately, the bottom line. The natural progression of this vehicle-to-vehicle and vehicle-to-infrastructure communication is, of course, the autonomous vehicle. Uber launched its first fleet of autonomous taxis in 2016, and the likes of Google, Apple, Tesla, Nissan and Mercedes-Benz are investing millions in the space. 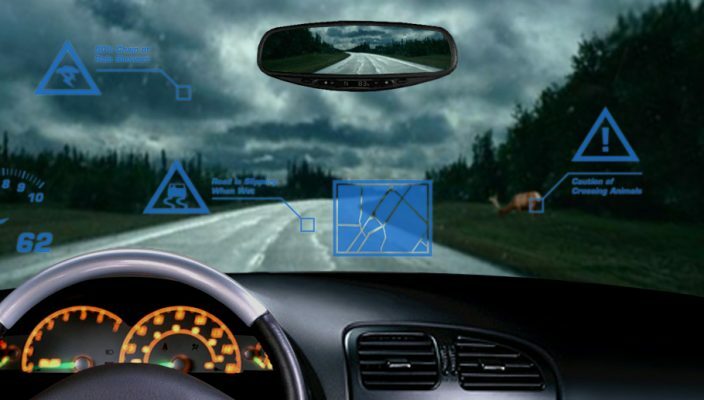 Vehicle connectivity and standard fitment of hardware will become increasingly widespread, enabling live updates of current vehicle health, GPS positioning and traffic and weather feeds. The speed of change is phenomenal, and businesses need agility and flexibility to survive and thrive in the market. With any new technological development, the last to adapt pays the heaviest price. Progress waits for no one and the companies that thrive are those that embrace it. In the current climate, doing nothing is simply not an option – change is happening, and it is happening now. As technology continues to infiltrate the way we work, we create more data than ever before. At best, this leaves companies in a position where they have more data than they know what to do with, and therefore fail to take advantage of the potential opportunity that it offers. At worst, businesses waste precious time and resources analysing that data, which can make it feel like more of a hindrance than a help. In such an environment, implementing a system that can analyse this data for you, help to automate key processes, and future-proof your business is no longer a luxury but a necessity. "Your customers are used to technology as an enabler, and they will go to whoever can give them the best and most convenient service possible!" Your customers are used to technology as an enabler, and they will go to whoever can give them the best and most convenient service possible! MRM technology can do this and more: giving you a clear picture of your business every minute of the working day, and enabling you to make the best use of your people, your vehicles, and your resources – potentially saving you time and money, and providing a better customer experience and competitive advantage. The companies that now lead the world all used technology to carve out a niche and disrupt the norm, changing the industries they now dominate forever. Who remembers the companies they crushed along the way?! Cloud computing takes mobile resource management to new heights. The cloud enables businesses of any size to leverage massive computing and storage capacity without committing capital expenditure or requiring entire IT departments to operate and maintain it. Cloud services are typically provisioned on a subscription basis in which customers only pay for what they use – much like public utilities. Business can easily and automatically scale their cloud environment up or down as business needs dictate. One of the most popular cloud computing service models is software as a service (SaaS), in which a cloud customer uses an application that’s hosted in the cloud, but the customer is not responsible for maintaining the software application (such as updates and security patches) or the underlying infrastructure (such as servers, databases and network equipment). The cloud also enables near real-time access to data – critical to many mobile resource management applications. Rather than connecting back to a server in a corporate network that may have relatively limited network bandwidth, some MRM applications exchange data in the cloud, which supports more robust data centres located around the world and is equipped with massive computing and storage capacity, as well as network connectivity. "Like the cloud, mobile innovation has changed our world today. Smartphones are everywhere – and they’re getting smarter..."
Like the cloud, mobile innovation has changed our world today. Smartphones are everywhere – and they’re getting smarter. Increasingly powerful and intuitive applications create new possibilities for solving complex mobile workforce and resource management challenges. As 5G cellular technology begins to be deployed by 2020, ubiquitous connectivity – practically everywhere – will become a reality. In addition to ever greater network speeds, 5G technology will enable near real-time communication between devices, applications, and users in harsh and remote environments that are not possible today, such as at sea, in the air, or in remote mining areas. 5G innovations will enable certain types of Internet traffic to be prioritised so that mission-critical applications – such as for autonomous vehicles – are delivered reliably and quickly. 5G will also overcome many current structural challenges, such as interference in metropolitan areas and tall buildings. As 5G networks become a reality, the power of cloud computing and its applications for telematics and mobile resource management will continue to drive digital transformation in every industry. Additional information on vehicle hardware (as standard from 2018 on new model launches) will improve vehicle connectivity and information gathering. International automotive technology provider ERM Advanced Telematics, whose products have been installed in more than 1.5 million vehicles worldwide, has launched the StarLink Tracker with Wi-Fi, a versatile telematics product that integrates advanced vehicle tracking, driver behaviour monitoring, theft prevention, Bluetooth, Wi-Fi and 4G cellular capabilities in a single device. The StarLink Tracker with Wi-Fi is the first product under ERM's new Wireless Connect strategy, which aims to use wireless technologies to provide its partners – vehicle fleet management companies, vehicle manufacturers and importers and car insurance companies – with a competitive edge. "The StarLink Tracker with Wi-Fi took about a year to develop, and ERM Advanced Telematics has already received its first orders to supply the product from customers in the United States, India and Australia..."
Part of the competitive edge that the new product offers rests on its extended wireless capabilities and on the mere fact that it is designed to be implemented in Connected Car applications. 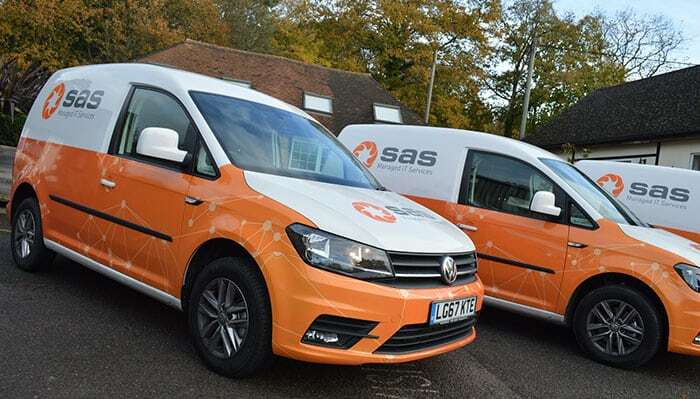 Until now, the installation of many telematics products for vehicle tracking, analysis of various situations and events and driver behaviour diagnostics required wire hook-ups. The StarLink Tracker with Wi-Fi and products that ERM Advanced Telematics will launch in the future under its Wireless Connect strategy, can be installed using the installer's standard smartphone which communicates through Bluetooth connection in order to configure the product and perform any required adaptations. All this can be much faster compared to many other telematics devices and with much less hassle that might have arisen due to the need to hook-up and hide wires. In addition to various wireless capabilities that help track the vehicle and other telematics functions, the StarLink Tracker with Wi-Fi is equipped with a microphone and loudspeaker to initiate and receive calls and dial emergency numbers. One application for this can be E-Call (Emergency Call), such as in the European Union or just as an Emergency Call application. When pressing the location unit's emergency button or immediately after an impact above a certain intensity, the unit will allow conversation between the vehicle's occupants and the emergency centre personnel, who can hear what is happening in the vehicle and identify events such as threats against the driver or accidents. The product will also provide information about the driver's behaviour, including careless driving, accidents, off-road driving, acceleration during turns, speed violations and more, information that can be used by the manager to significantly improve fleet management capabilities, performance and can decrease operational expenses. "The product will also provide information about the driver's behaviour, including careless driving, accidents, off-road driving, acceleration during turns, speed violations and more, information that can be used by the manager to significantly improve fleet management capabilities, performance and can decrease operational expenses..."
The compact product (about 120 grams) also saves installation time and costs and creates Wi-Fi hotspots in the vehicle for up to eight devices. It features 4G cellular modem, GPS/GLONASS/Galileo location module and an ability to navigate inside underground parking lots or in mines; internal antennas, emergency button support and built-in data logger. Other capabilities are internal management of up to 500 driver ID’s, remote immobilization, wireless connectivity to a wide range of additional ERM and third-party products and many other features. 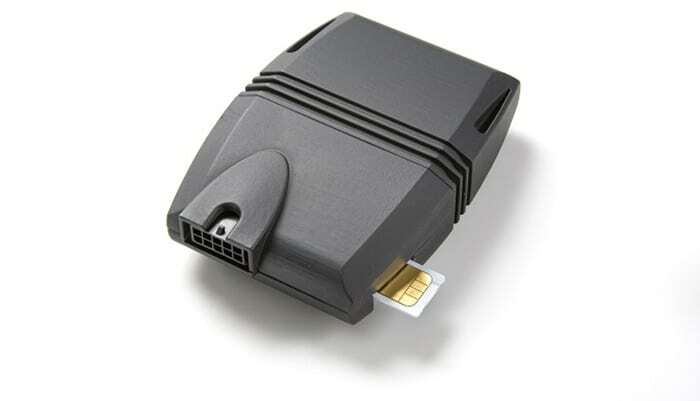 As the core infrastructure for Connected Car applications, the product can integrate to full range of the vehicle's internet connectivity needs, which are provided by the use of the tracking unit's SIM card without the need for any additional SIM card. The StarLink Tracker with Wi-Fi's 4G capability will provide broadband communications for applications such as listening to online music, video consumption or surfing the web during the car ride. The product's Bluetooth capability will enable installers, drivers and end-users to connect mobile devices, receive information and set different configurations without the need for wires. "One of our paramount objectives, to which we strive daily, is to provide our business partners over the globe with competitive advantages. As a leading company with unique perspective and more than 30 years' experience in the automotive field, ERM relies on its proven technological capabilities in order to provide these advantages to car manufacturers, car fleets' service providers, vehicle importers and other industry players. We help these players establish technological supremacy based on the ability to support a wide range of functionalities, and deliver high performance and operating efficiencies in any market they operate in or intend to operate in," said Eitan Kirshenboim, CMO of ERM Advanced Telematics. "Our Wireless Connect strategy enables the industry to achieve these objectives simultaneously. The StarLink Tracker with Wi-Fi, as the pioneer product under this strategy, highlights this well. Alongside the product's impressive technological capabilities, its ability to support a growing number of sensors and telematics applications while minimizing the installation time and cost greatly helps our business partners." Kirshenboim added: "a fleet management service provider who purchases a telematics solution, but pays much more only to install it in a long and complicated process, will find it difficult to achieve a competitive edge. 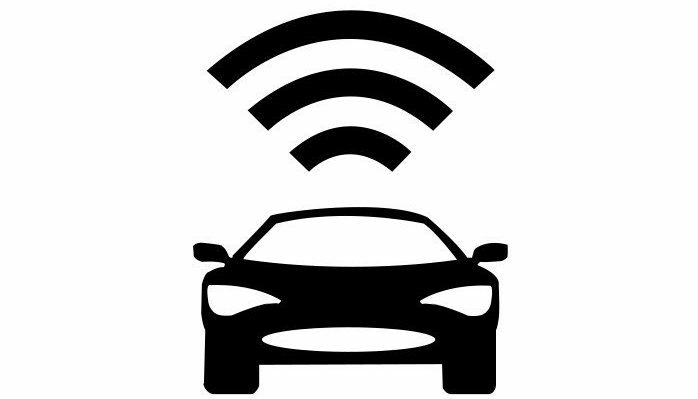 To respond to these problems, the Wireless Connect strategy will strive to reduce the need to use wires during the installation process as much as possible, minimize the installation time and cost of vehicle telematics products, and generate added value to our customers and business partners."